Providing uniform portions of food, the Vollrath 47145 disher has a 11⁄3-ounce-capacity bowl. It is constructed of stainless steel, adding durability and providing corrosion resistance. The blade extends out of the bowl, so it will not get stuck after pushing food out of the disher. 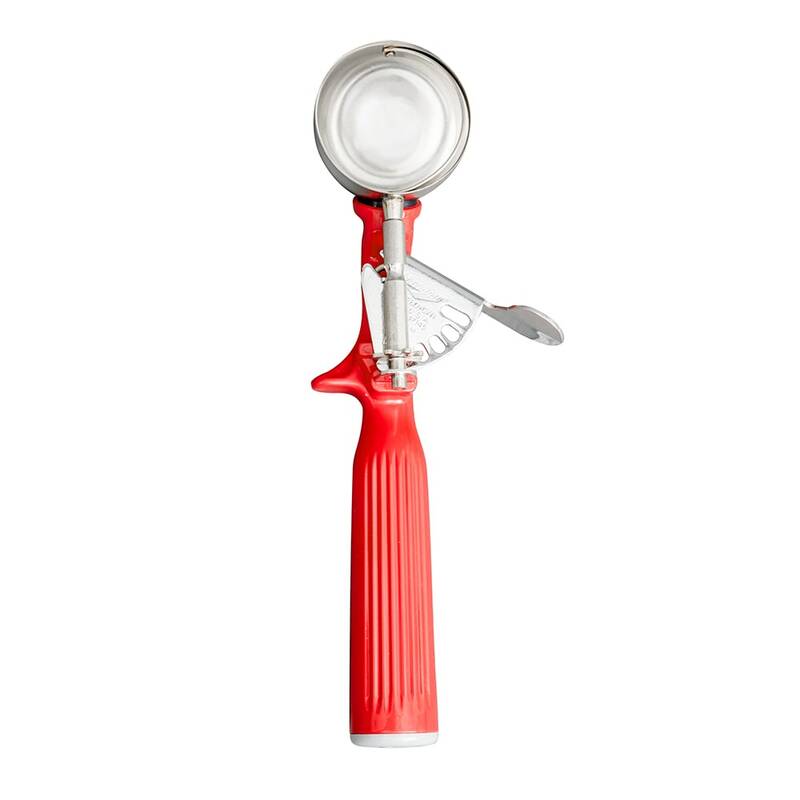 Made of red plastic, the handle denotes the size of the Vollrath 47145 disher for convenience. It slows bacteria growth with an antimicrobial agent and is comfortable to grip. For a break down of disher sizes, portions, and colors, visit our dishers explainer article.